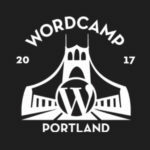 As of August 16, WordCamp Portland is SOLD OUT. However, it’s a possibility that they will be able to release more tickets about 2 weeks before the event (around September 9), so stay tuned! You can follow @wcpdx on Twitter for the most up-to-date information as it becomes available. WC PDX is Portland’s casual, locally-organized conference covering everything related to WordPress, will be all day Saturday, September 23rd, at Lewis & Clark College’s Templeton Campus Center.